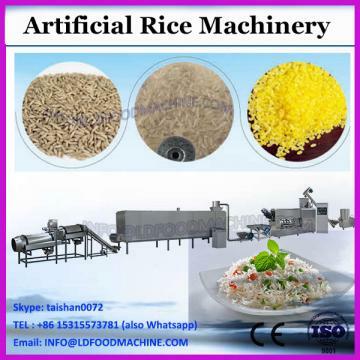 2016 most popular artificial rice processing machine is developed to meet the demands of food nutrition. This production line is improved to avoid the loss of nutritional elements in the rice which is made by the traditional rice processing. It has characters of highly automatic, easy operation, energy saving and environmental protection. 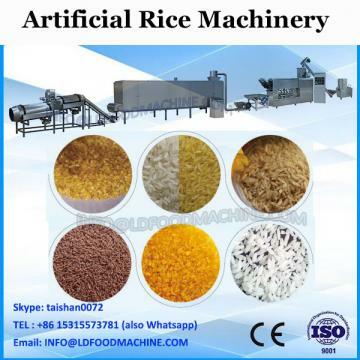 The raw materials for artificial rice processing can be rice, black rice, buckwheat and other grains(broken rice and rice bran can be reused). You can also add additional nutrient components, such as vitamins, minerals etc. 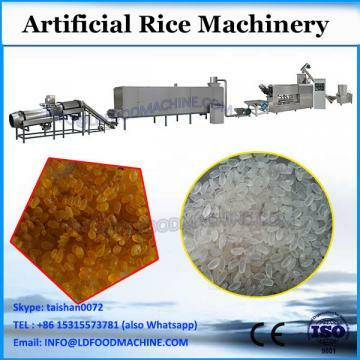 After extruding, forming and drying, you can get the nutritional artificial rice, which is eaten same as natural rice. 1. Raw Materials: Rice and Corn. The Twin-screw extruder is made of the feeding system, extruding system, cutting system, heating system, lubrication system and controlling system. The heating way is electricity heating. The net belt running speed and temperature can be controlled to change the food drying time in the dryer. Packaging Details If the machines are in full container.